Number of Trays How many paper trays does the printer have? The four main functions of printers are: printing, scanning, photocopying, and faxing. Either your device will be print only, print/scan/copy, or an all-in-one printer that does printing, scanning, copying, and faxing. Note that scanning and copying almost always come together, since the hardware for these features overlaps significantly. Generally speaking, all-in-one printers are larger, so those with space constraints may find this to be an inconvenience. Additionally, printers with a fax feature are typically more expensive. It would be wise to only consider this feature if you plan to fax often. If not, you’ll be satisfied with a print/scan/copy device. Scanning Does this printer include a scanner? Photocopying Can this printer be used as a photocopier? Faxing Does this printer include the ability to send/receive faxes? Printers with an LCD screen/display give you the option to control some settings directly on the printer, such as a one-touch print, scan, copy, or fax. You may also be able to adjust print quality, preview the print job, and/or view connection settings. Some screens are programmed to offer setup instructions for easy installation. For those who are not particularly tech savvy, this could be helpful. LCD Screen Display Does the printer have an LCD display screen to preview the print job and settings? LCD Screen Size If the printer has an LCD screen, what is the size of that screen? Touch Screen Commands Does the printer feature a touch screen for easy command input? Ink Refills and Cartridges available for replacement/refill. Rank: #9 out of 168. Canon Pixma MG3620 is a very popular and one of the cheapest options. It's in the top 3 bestselling inkjet printers and has dozens of popular alternatives in the same price range, such as Canon Pixma MG3029 or Canon Pixma MG2522 . 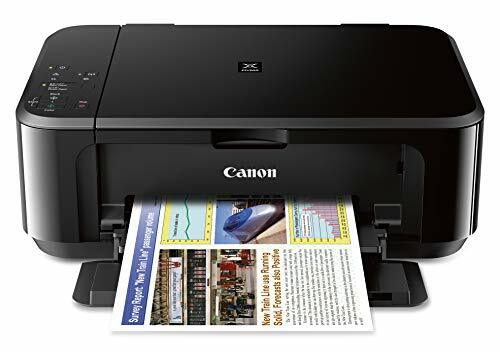 Canon Pixma MG3620 is $130.10 less expensive than an average inkjet printer ($170).